Text ads are okay... but professional banner ads that utilize images are even better! They make your message POP! No matter how big or small your ad needs to be, I can create one for you down to the exact pixel. See the categories below for info on the various price ranges and sizes. Would you like to see some of the ads I have created in the past? Check out my Web Banner Ads Portfolio. And if you like what you see... Contact me through the Quote Request Form or call me directly at (757) 218-4053 to get started! *Ads with the Google symbol denotes Google Adwords standard size. Small banner ads start at $45. 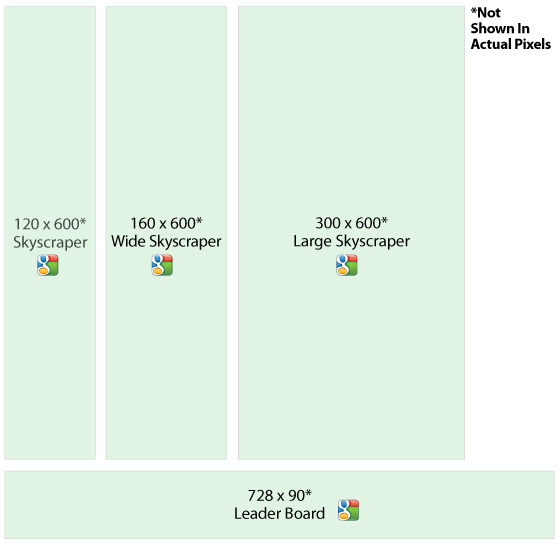 I consider a small ad to be no larger than 250 x 250 pixels. Below are images of standard sizes that fall in this price range. Medium size banner ads start at $65. This includes ads no larger than 300 x 400 pixels — horizontally or vertically. 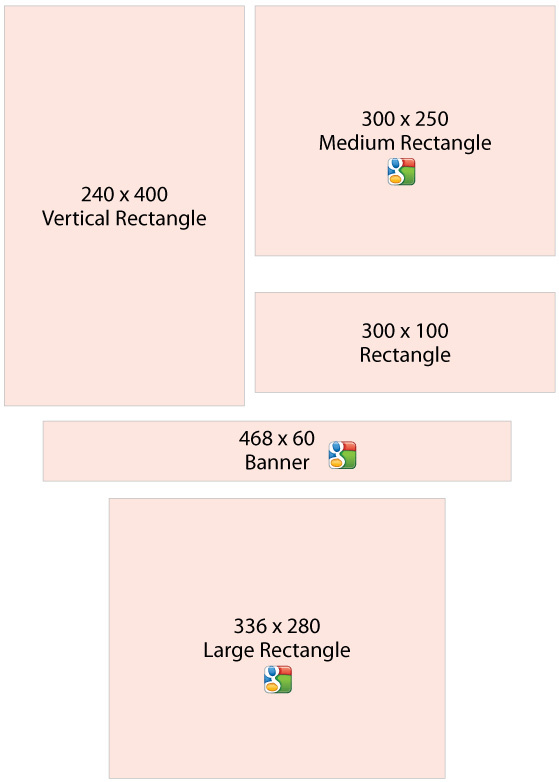 Pictured below are typical web ad sizes that fall in this medium size range. 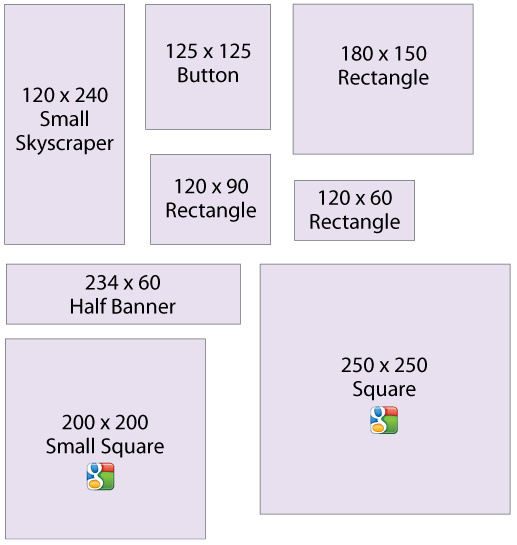 Large size banner ads start at $90 and are no bigger than 450 x 750 pixels. Anything outside of these limits will need to be custom quoted. The examples below are ad sizes that would fall in this category. Additional duplicate ads of smaller sizes are discounted 50% off if you purchase the ads together (i.e. you buy a 250x250 ad for $45, that same ad can be downsized to 125x125 for $22.50 extra). This offer does not apply for two ads purchased at two separate times nor ads of non-standard sizes. Just let me know, ahead of time in your quote request, if you would like to take advantage of this special pricing. Have any questions about these services I offer? Feel free to call me anytime at 757-218-4053 or email me using one of the contact me forms here on this site. Or, if you are ready to use my services, contact me through the Quote Request Form on this site.